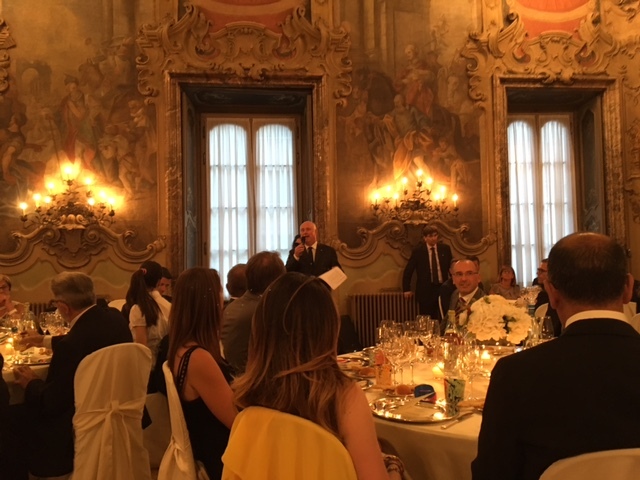 On Wednesday 22nd July the Italian Wholesaler Association, ANGAISA , celebrated their 60th Anniversary with a Dinner in the ornate Palazzo Visconti, Milan. Many wholesalers and leading industry supply partners enjoyed the magnificent surroundings in a social night of wining and dining with colleagues. The DG Sue Knight joined the Italian Group in their celebrations.